And those doctor’s appointments? Yikes! I have been in your seat and I can see you sitting in the waiting room nervous. Your palms are sweating. Heart racing. You can’t even sit still or concentrate as a million questions,”what if’s” and thoughts are racing through your mind. Fear, doubt and worry begin to cripple every part of your being the longer you must wait for your name to be called. Thinking your husband must feel the same, you look over, but there he is casually sitting in his chair, flipping through a magazine oblivious to what is happening. While watching him seem to be unfazed by it all, you become angry as you can’t help but think, “Does he know how serious this is? 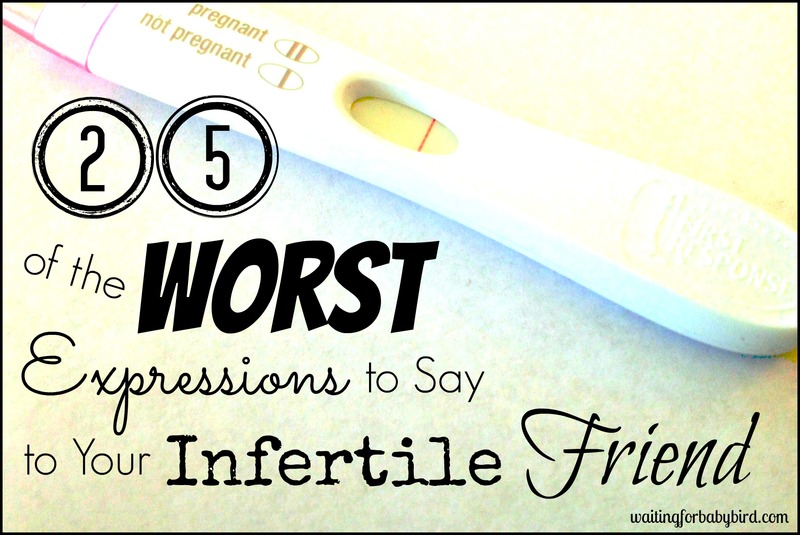 But friend, can I just tell you from one infertility wife to another, he does. He knows the baby showers you attend hurt your soul beyond words. He knows the doctor appointments are sometimes too much for you to bear. He knows that baby dedications, Mother’s Day celebrations and other holidays, especially Christmas, cripple you to the core. He knows that the nine pregnant women you counted in Target will make you cry yourself to sleep. Or that one more negative pregnancy test might just break you. Because it’s breaking him. And you know what else he knows? He knows the shame. He knows the embarrassment, and the fear, and the disappointments. And he knows the tears. The tears you shed and the tears he sheds when no one, including you, is looking. And it’s all because he knows. But if there is one thing I have learned throughout this journey, it is that our husbands deal with every aspect of infertility differently. They just do. They aren’t as emotional. They aren’t as open. They aren’t as stressed or fearful or hopeless. They just aren’t. And it’s not because they don’t know how serious this situation is, but it’s because they know if you both were a mess every month and curled up on the bathroom floor or pacing the hall before each doctor’s appointment, then who would be the one to pick us up when we fall? Who would calm us down and hold us tight when the doctor whispers words of defeat? Who would remind us while we are at our lowest point to never lose hope because next month might be different? And who would hold the umbrella when the grief of shattered dreams, negative pregnancy tests, and thoughts of fear come pouring down on us like an unexpected afternoon thunderstorm? Who? I will tell you. It’s him. 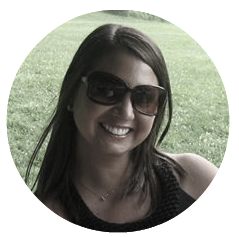 He would….your husband…your biggest supporter…your superhero. Because wives, he is your superhero even in the silence. Even in the awkward hugs and the band-aid words he uses to try to give you hope as he picks you up off the floor. He was born with that innate desire to “fix” what is broken and he longs to save the day. So let him. Let him give you that kiss on the forehead and tell you everything is okay rather than immediately shove him away or yell at him for being so irrationally optimistic. Let him feel as though he is rescuing his damsel in distress, because while his strategies are not the best, his heart and motives are pure. It is his way of showing that he cares. That last question stings right? It always rocks me to the core and reminds me of how important it is to ensure that we make our husbands feel that even while we don’t have our own children yet, the time we have together as a couple is just as important. It’s just as special and fulfilling. And it reminds me that they want to be seen for more than just their ability to procreate. Just as we do. 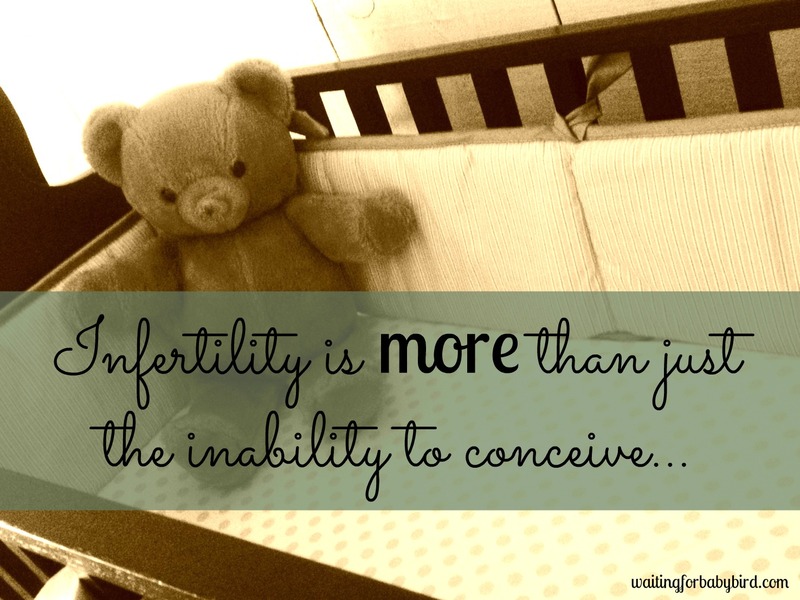 So to my fellow infertility wives, let’s be busy making sure they don’t get lost in the shuffle of all the charting, timing, and doctors appointments. Let’s stay busy enjoying the journey of it just being two of us while we are on our way to our destination of making it the three…or four…or five of us. Let’s continually remind them daily through simple words and gestures that they are still our main squeeze, our better half, and our superhero. And let’s extend to them grace. Grace when they don’t engage in the conversation like we would hope or ask more questions at the doctor’s office. Grace when they don’t notice the pregnant women and the new mommies overtaking the church pew. And grace when their band-aid words, gentle kisses on the forehead, and big bear hugs don’t help. Because while you think he doesn’t know the seriousness of your situation, he does. But you know what else he knows? He knows when he isn’t enough. And he knows when you don’t think of him as your superhero. So hug him a little tighter tonight. Kiss him a little longer and dig out that first love note or photo you took together; and let it be a reminder of why you fell in love in the first place. Because can we be gut wrenching honest together for just a second? What good is it to bring children, whether biological or adopted, into a family when your marriage is suffering and becoming shattered as a result of it? 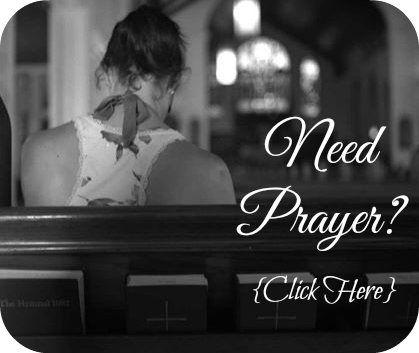 I would love to get connected with you on a more personal level, so if you liked this post, pass it on and then click here to find Waiting for Baby Bird on Facebook. Or come follow me on Instagram at @waitingforbabybird. I seriously can’t wait to “meet” you! I am a firm believer that most of us chose our partners in life before the whole baby thing ever went awry. And, today even after 5 losses, I still chose my Mr., and he still chooses me. Yes, we cope differently, but we’ve learned so much about each other and what our differences are. So, today we chose to work together through all our ups and downs and we chose to nurture our love and our marriage as our first priority. The babies, they may come or they may not, but more then anything we want to be together today and into the future. I agree :). I was prompted to write this post after receiving numerous emails from other women who are frustrated and struggling to understand why their husbands react differently and them feeling as if they are not as invested. The absolute best thing we ever did to help us understand why we were reacting differently was to speak with a counsellor together. She helped us learn how we are processing things differently, how to support each other in ways that are effect for the other person, how to disagree respectfully and how to nurture our love through this. I would recommend to anyone going through IF/RPL to speak to a professional who is experienced in IF/RPL. Beautifully written, and exactly what I needed to hear today. This is perfect. I remember last month when I had my Clomid meltdown, I asked B why he didn’t want to go to appointments with me and why he didn’t care. It’s hard that they process and deal so differently than us, but we need to remember that without them we wouldn’t probably be worrying about a family anyway! Oh, Elisha! I am SO thankful for this post. You are SO right in all you said. Having walked the full gamut of this journey, I can totally agree that our husbands FEEL this as much and as deeply and as widely as we do. Their brains are just wired differently, and they respond in a different (and what we sometimes perceive to be INdifferent way). Infertility hits them every bit as hard, but, as you said, they retain strength to keep picking us up and putting us back together again. Thank God for our dear husbands who are every bit as true and loving to us as Hannah’s was to her. We are abundantly blessed! They do not get near the credit they deserve…ever….so, thank you, sweet friend, for acknowledging and celebrating them today!! Absolutely beautifully written! You nailed it. Many thanks for sharing and putting this precious advice out there! Wow. Are you in my brain? This is exactly how I feel. It’s also even harder on men because they can’t cry on the phone with a girlfriend. This isn’t the kind of thing the bros are good at helping with. So his pain has nowhere to go. Thank you for this lovely post Elisha. 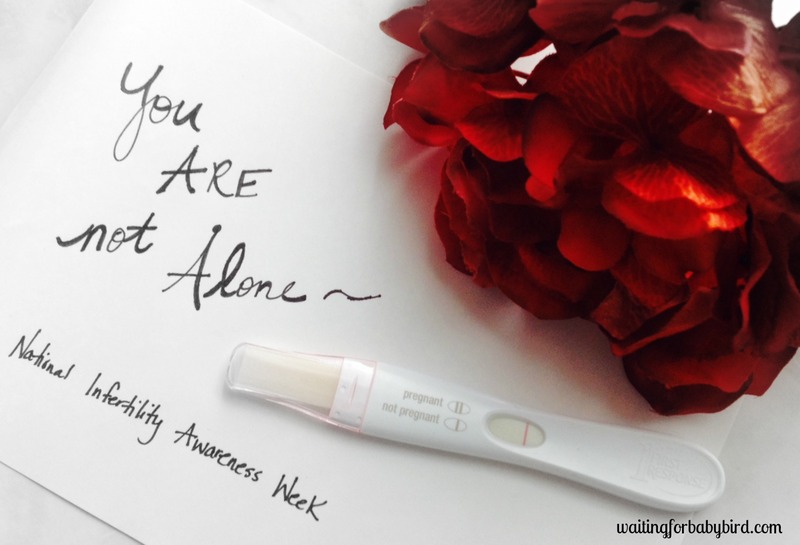 Your blog is always such a comforting place to come to feel belonging and a sense of community, when in this journey through infertility it is so easy to feel isolated and excluded. This is a good reminder to nourish and look after your marriage, and not overlook its importance. I may not have been blessed with a child (yet) but I know I am so so lucky to have my husband. I really have to say thank you for writing this!!!! It means so much to know that we are all feeling the same way about all of this. You have put my feelings into words that I have never been able to put out to family and friends. I have been told that I am such a strong person, I never thought I was, but until I started going through IVF. Again thank you for putting it into words that others can understand. Hey Latora! Thank you so much for taking the time to read and comment! And can I just say that you are a strong person? I mean seriously! Anyone who can go through infertility and IVF is strong in my book 🙂 Hang in there! I am believing and hoping with you! So well written, and just what I needed to hear. Bawling as I read this. Thank you. Reblogged this on dame lapin maman. Beautiful post. Brought tears to my eyes. Our husbands really are superheros for holding us up through this!!! God Bless! It’s almost scary how much I identify with this post! I am so thankful for my Hubbie even though we have experienced this infertility journey differently. I am so thankful for mine too! Sometimes I just stop dead in my tracks and think about how awesome he truly has been through all of this. You have such an ability with words. Thank you for this post today. Makes me think of my hubby & how he has his own unique sense of support. This is a beautiful post!! 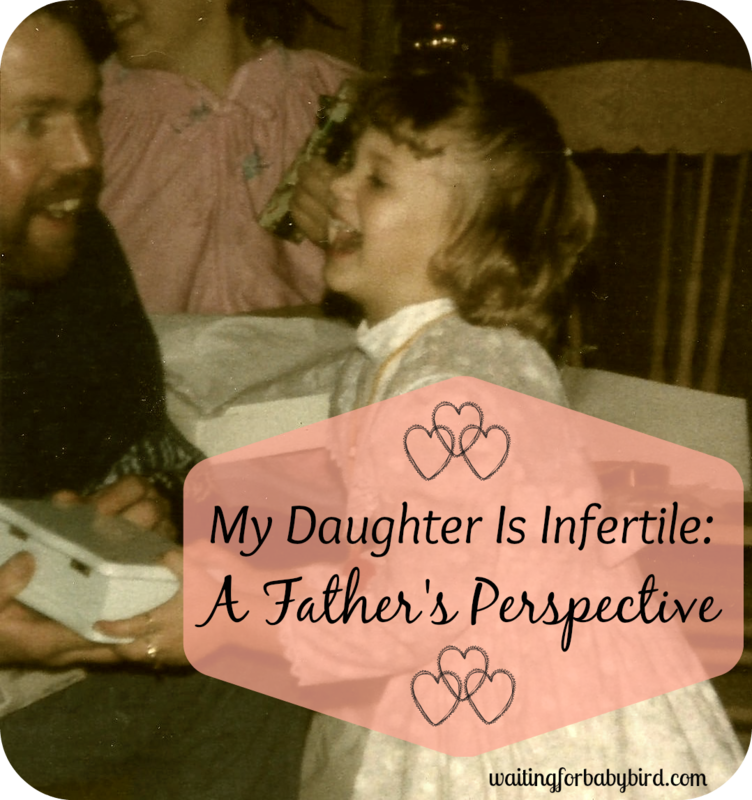 There are times during my infertility journey where I wondered why my husband seems “fine” when I am in tears and just so overwhelmed and sad. I think that men and women deal with this process differently and that is definitely part of it. The other thing that I have realized is while my main focus is on getting pregnant – his main focus is on getting pregnant AND looking after me. He seems “fine” because he is worried about me and is so focused on making sure that I am okay. This journey is a crazy one and I am so grateful that I have my wonderful husband by my side – I couldn’t do all of this without him! So much love with this post. As bad as I want to expand our family I thoroughly enjoy the time that we have with just us. This article is so perfect. It is exactly how I felt for a long time, but I learned that men do react differently than we do. I’m the one who feels like a failure month after month, while my husband is just optimistic that it will happen the next month. I’ve only ever seen him cry when we had our two miscarriages, but when talking one day, he said that he thinks about them sometimes on his commute to work, which is 50 minutes and mostly through a country side, so he could’ve cried at some point, but is just strong for me. I do my best to make him feel appreciated and loved with surprise dates and other things. He is everything to me and I don’t know where I would be without him. Awe! I can totally feel the love you have for him through your words. It’s so sweet! ❤️. Thank you for sharing. I know these feelings. Joel is way more involved and pained than most I’ve talked to but even still sometimes I felt like he didn’t understand. This month was the first time I felt like he really really got it. Last week as we sat on our couch, the daddy/daughter camry commercial brought him to tears. He cried on my chest sad for the little girl he longs for 😦 It broke my heart and it made me realize how thankful I am that he’s most often strong. I still cry thinking about that night of him losing it. Watching him grieve is 10x harder than grieving myself so I’m thankful he doesn’t lose it that often. Awe sugars!!! Bless his heart! It is so awesome though that you are able to comfort him when he needs it and he is able to comfort you when you need it! That’s amazing! love this. through this whole journey hubby is always saying he wants to make me happy. i always remind him, he makes me happy each and every day. no matter where this takes us, he is my partner, my world. Beautiful post. Made me cry. 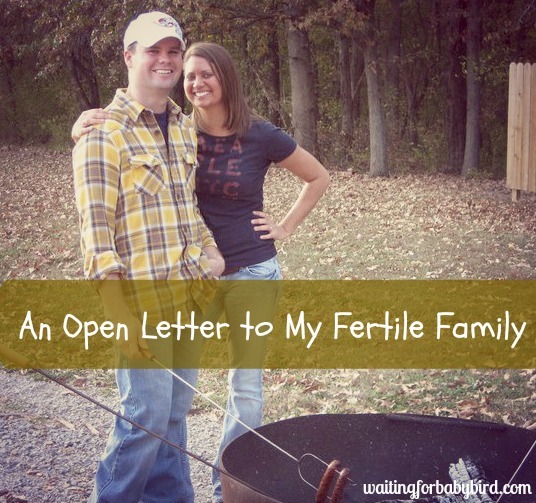 My husband lived through infertility really differently from me, as you say. But there have been moments in which he was more desperate and frustrated than me. Moments in which I had to be the hero and we swapped roles.. Those were scary moments because seeing him break down was really heartbreaking. But that’s also what couples are for: to support each other so that you can go on through the difficulties. 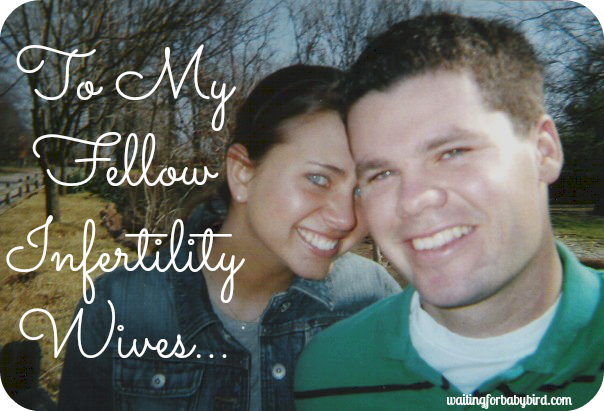 If there is one thing I learnt through infertility is the value of marriage and of my relationship with my husband. We’re each other heroes and aware of it. It’s no small thing..
Nail on head. I repeat. Nail on head. This is perfect. I needed to hear this today. I needed to cry over this. Thank you for sharing what God put in your heart. What a wonderful reminder to all of us struggling with this journey. I am always so glad I have my husband to share this with. I am not sure I could do it without him. I wanted to let you know I nominated you for a blog award. Check out this link: https://ramblingsofabarrenheart.wordpress.com/2015/04/20/the-real-neat-versatile-blogger-awards/ for the rules on what to do. How have I always overlooked that line? I have read that verse a thousand times. I have never read it and felt such an ache as I did just now. I love that line. I need to write that one on my bathroom mirror to see every night before I go to bed. Absolutely, 100% correct! I just love that you put this out there. It’s so true. Thank you. Just tonight, I snapped at my husband after telling him about a newly pregnant colleague and he tried to make it better. I needed to read this. I could not stop crying. It is all so true. Thanks for sharing. This is perfect! My husband and I went through 10 years of infertility and I wish I had these words from the very beginning. I think I finally figured things out a little better along the way. But these are great for me to remember again as we begin our final IVF treatments this year. Having had success makes it easier, but it is still always hard. That’s beautifully written, Elisha! And oh-so-true. Its so easy to forget amidst all the disappointments and heartaches. They are aching too. They just cope with it differently. And thank god for that! I absolutely LOVE this!!! Sometimes we forget that this affects our husbands too, even though it’s happening in our bodies! Our husband’s need our encouragement and to know that they still matter! I love this post. There are times when I would get really down about not being a mom and he would try to make me smile, but I wouldn’t. Now I understand what he’s trying to do. This is so well written.